When it comes to studying for the sake of learning, the old phrase, you get what you give applies. To become an expert in any field, you need tons and tons of practice in that field. I’m all about efficient ways of learning information but the process of becoming an expert is one area that efficiency isn’t necessarily the most important factor… I’ll get to that. In this article, I’m going to be discussing what I call my Zen Method of learning. Zen is a term referring to a style of meditation. That is, ideally, a little like how this method of studying feels like. This is not the classic, study super fast and still pass the test method taught on this blog. This is more of a, absorb all the information to become an expert method. Then, of course, tests are no problem because you’re already an expert. Efficiency is everything when it comes to short term studying. I realize this is a point that has been hounded on hundreds of times on this blog so I’ll keep this short. If you want a longer explanation then check out some of the older articles in the archives. 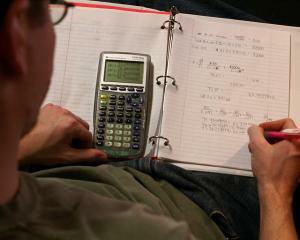 Most students study with virtually no efficiency for a long period of time. For hours of studying, they’re lucky to memorize a short list of facts. That poor efficiency usually has to do with crappy study methods, low motivation, low focus, and unsticky material. Most of those problems can be solved with the right study strategy. Once those problems are solved, that same list of information can often be remembered in less than 5 minutes. It really is that important for studying. If you want to learn my strategy for studying all your subjects in less than 15 minutes a night (this applies for most college majors and high schools) then check out some of the archived articles on it. They’ll go into a more thorough explanation of the mechanisms at work. On top of that, you won’t be as inclined to get a deep understanding of the knowledge you’re learning. By that I mean, it’s easy to learn a set of facts. It’s hard to connect those facts in non-superficial ways. How does one relate to the other and how do they both relate to the greater issues? That kind of thinking can’t be quickly studied without completely taking on someone else’s opinion. Developing your own is much more important for an expert. Studying a subject efficiently can be really challenging in the long term. It works well for school because school tends to have short bursts of a single subject. Then you get vacation time to chill out a little before you start over again. If you tried to keep a high-efficiency study routine in a subject for a full year, I’m willing to bet, half way through the year your efficiency would be down from plain old boredom and stress. That’s why I work with a Zen Study Method. What Is A Zen Study Method? Theoretically, a Zen Study Method can be just about anything you want it to be. The zen refers to your own reaction to the studying. How do you feel when you’re studying with a certain method? If you feel almost completely relaxed and you actually are learning something then you are using a Zen Study Method. 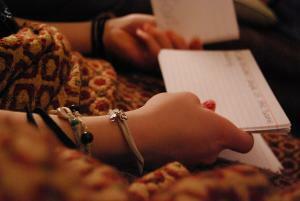 Often, these study strategies have everything to do with the material that you’re studying. For example, you may find listening to a history podcast the most boring thing in the world. I personally find it one of the most relaxing things ever. For me, it feels productive (because I’m learning stuff) and entertaining (because they’re telling a story.) For you, it might feel boring and completely unproductive. That means it is a Zen study Method for me. It is not for you. Zen Study Methods are completely personal. Perhaps watching historical documentaries (or even plain old Hollywood films about history) would be more effective for you. Take note, 100% accuracy is often less important than the stickiness of the way you’re learning. 90% accuracy that’s memorable is way better than 100% accuracy that can’t be remembered. Long-term consistency is much more important than efficiency when becoming an expert at any subject. Most people study in short bursts of hard work. Then they spend months or more forgetting everything that they learned before. Long-term consistency is a much more effective method. By studying a subject daily, even if you learn less, you’re getting much farther than the average person. Don’t underestimate its power. A little progress every single day will eventually get you where you want to go. That being said, you have to be truly committed to learning a subject. If you’re not completely committed (which is okay, by the way) then be sure to look into the archives of this blog to learn some new and better strategies for studying. You can learn to study all your subjects in less than 15 minutes a night while watching your grades go up. Did you enjoy this article? Please share it with someone you think could use it. Also, do you want to get the information of this blog and more in ebook form? Check of the kindle books in the sidebar! Thanks. ← Q/A – How Do I Help My Friends Study? I’ve heard about the Zen method of writing, but not studying! I agree with what you wrote – you have to find something enjoyable about studying, otherwise you won’t be able to stand it. It requires time and effort, but can be done. It might even help you find new hobby! I like to study with flash cards. I enjoy them.